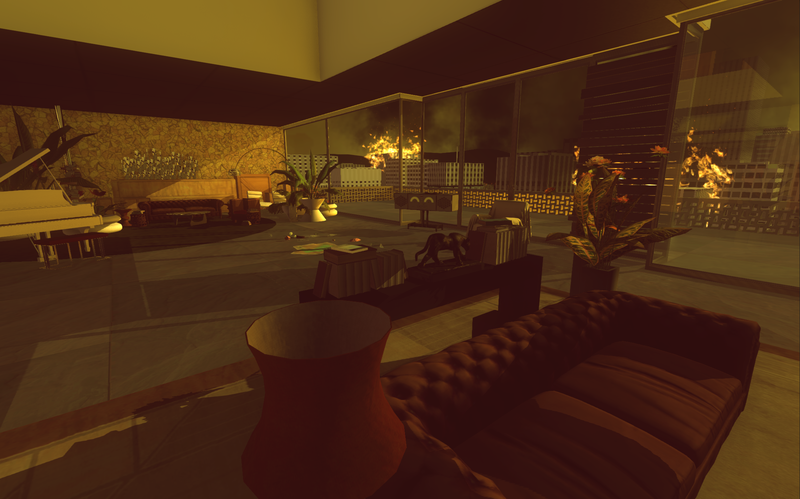 Sunset is a first person exploration game that takes place in a single luxurious penthouse apartment in the capital of a fictitious Latin American country in 1972. As housekeeper Angela Burnes you get to know the owner of the apartment, Gabriel Ortega, by going through his things while he is away. A relationship develops between two people who never meet while war breaks out in the city. 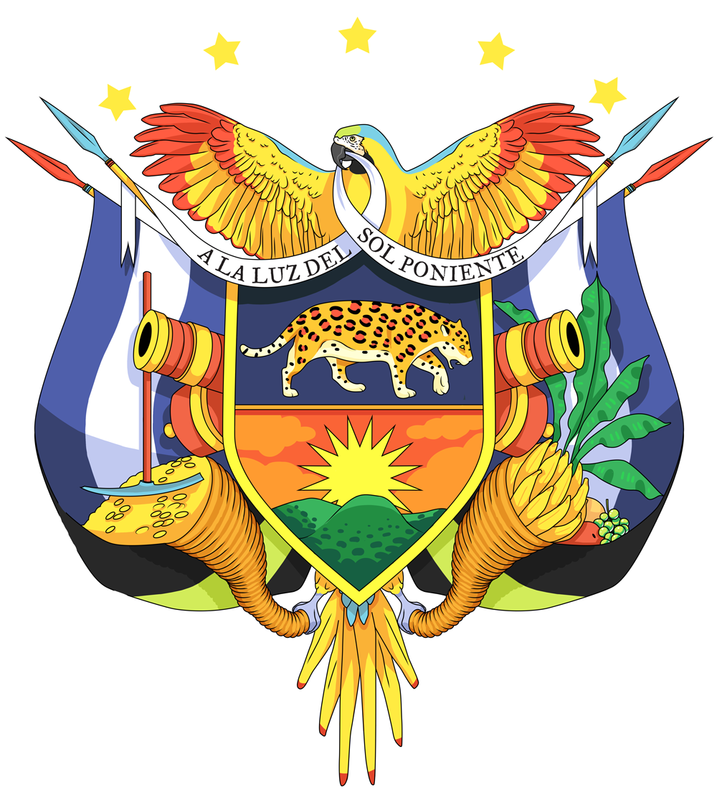 A violent uprising has begun against the military regime that holds the country in a stranglehold. Will you get involved with the rebellion? Will Ortega? And if so, how? With Sunset we are embracing the various audiences who love our games, while continuing to push the genre, and ourselves. Our aim with Sunset is to create a gripping, thourghtful and entertaining experience. 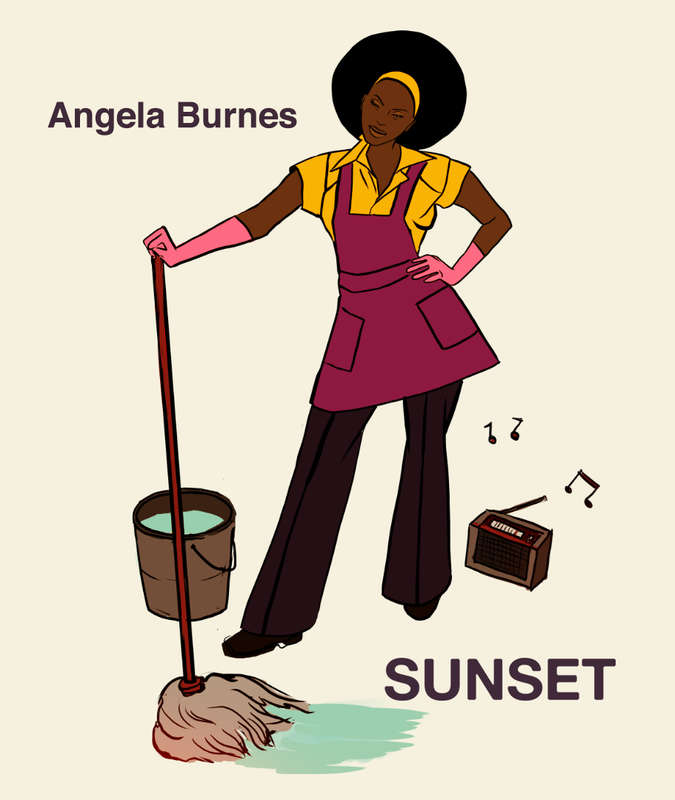 "Sunset uses the routine of labour to exquisite effect as a framework to tell a story about class and political revolution." "an enormously affecting examination of the impact of war"
"Sunset is the work of a sometimes inscrutable studio at its most accessible, and its best. 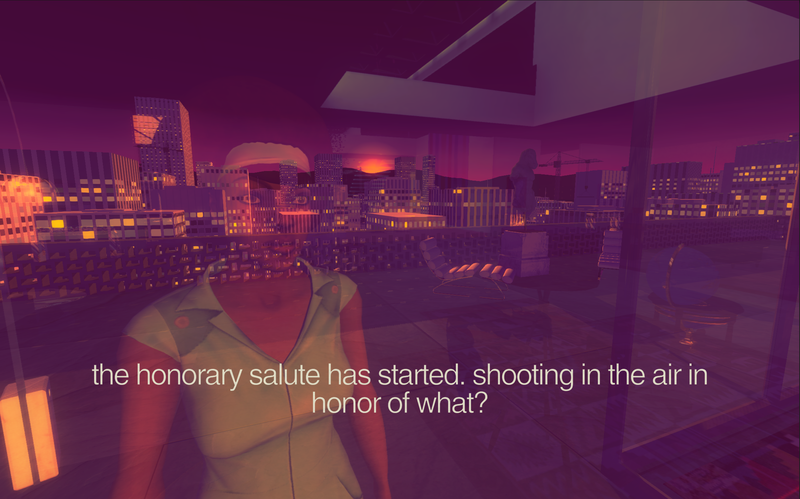 At once contemplative and incendiary, this is a quiet game within which burns a fierce revolutionary spirit." "a rare treat, an unusual and thrilling use of the video game medium"
"Rather than focus on the explicit violence of a military coup, Sunset centers on the emotional brutality of war." 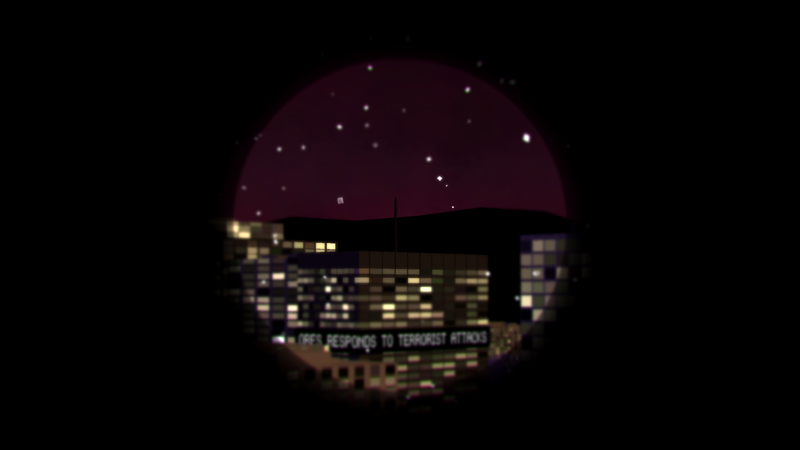 "Sunset is a gift, an all too rare kind of game that focuses on people loving and hurting in mundane but almost unbearable ways." 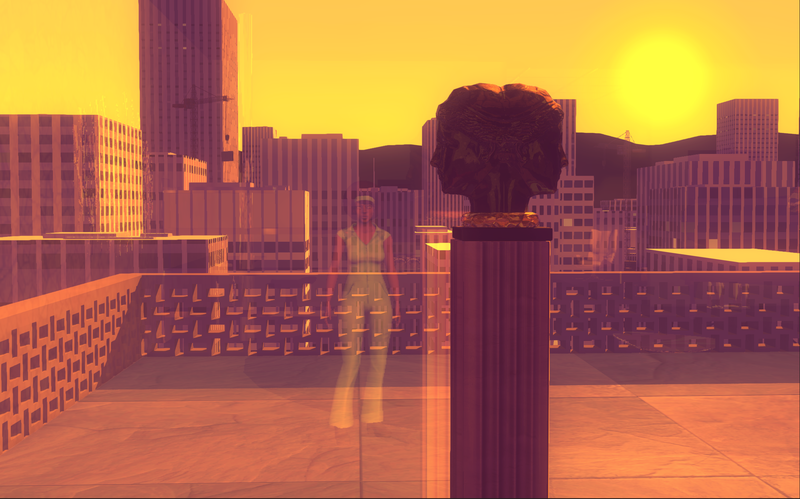 "Sunset is the sort of game we need more of." 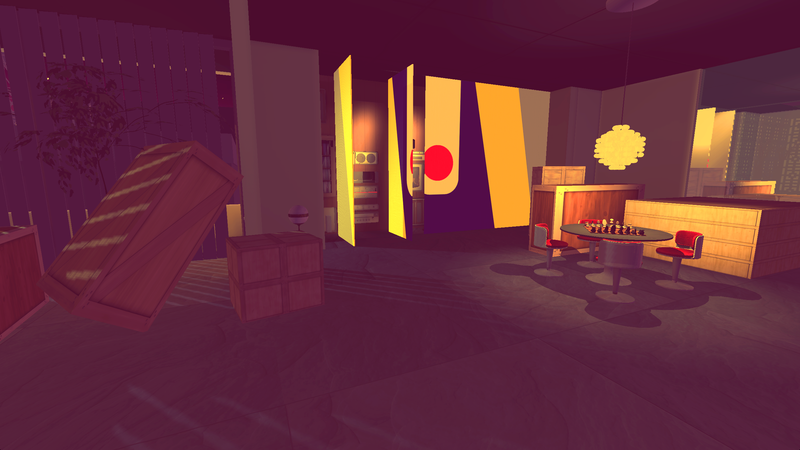 "Sunset is that rare game endeavours to challenge players to be entertained by something other than action. It wants us to engage a higher level of our minds, the part reigned by curiosity, empathy, and analytical thought." 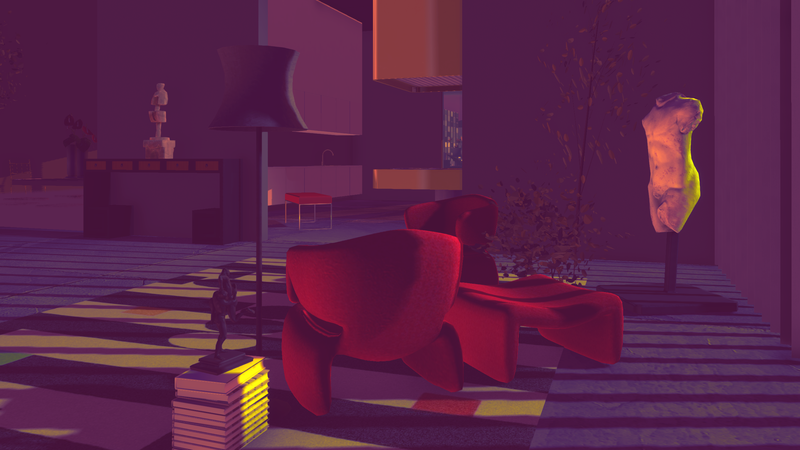 "Sunset is a short and rather lonely game, but it manages to use its vast stores of quiet to let a rich web of themes breathe through the player." 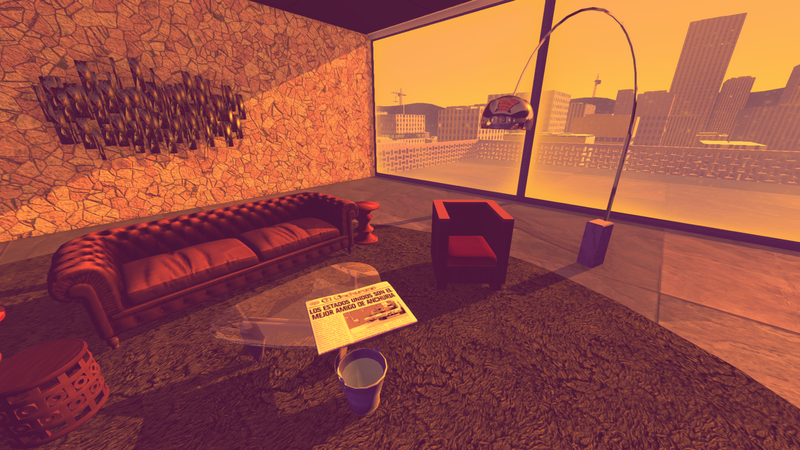 "The art direction, set design and soundtrack in Sunset are all glorious." 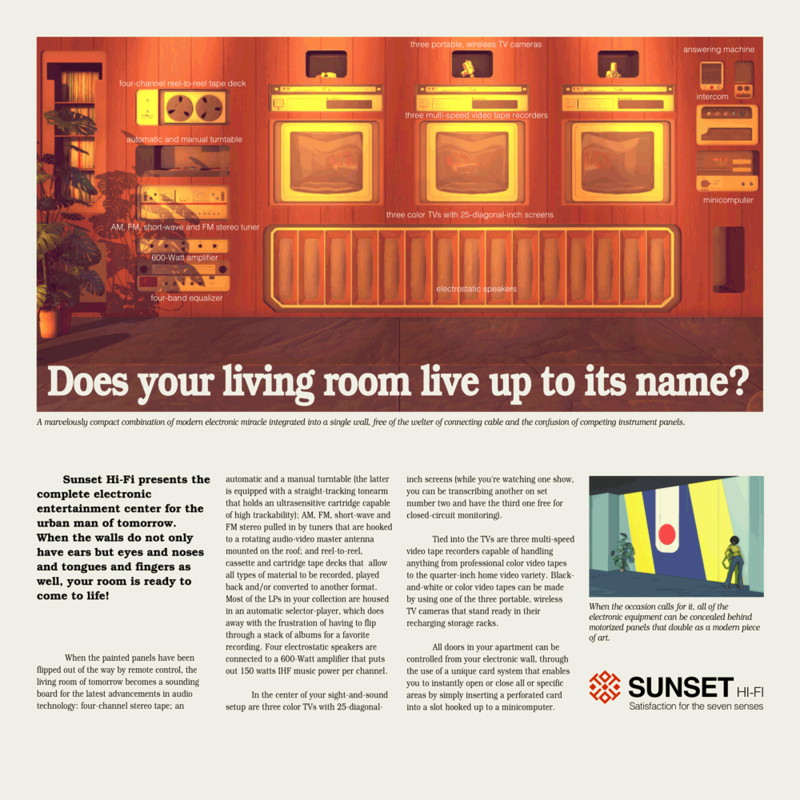 "Sunset is a fantastically polished example of an exploratory game which, despite taking place in a single location, conveys a brilliant story simply by making minor tweaks to the scene you occupy." 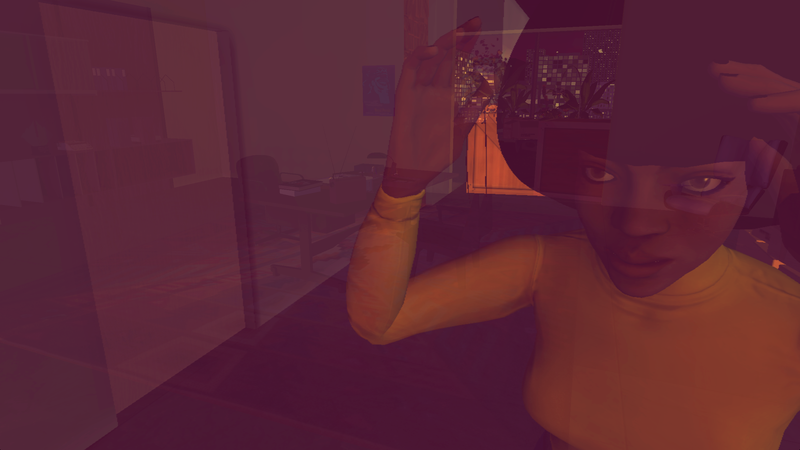 "Tale of Tales has perfected the formula for storytelling in FPS adventure genre." "Sunset realizes the dream of all of Tale of Tales' previous works. It's a brilliant summary of what games can be." 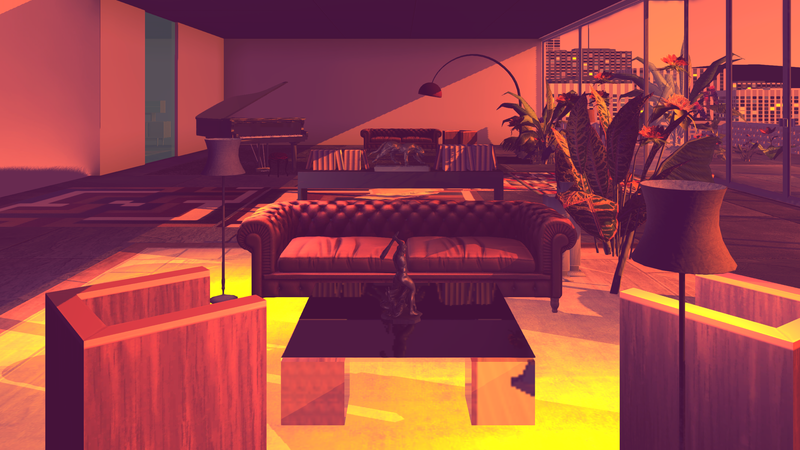 "Sunset takes advantage of every corner and interactive object in the apartment to tell a rich, complex story in a very natural way." "The story is excellent and will draw you in, making you feel as if you truly are Angela Burnes." "Una storia interattiva che è in perfetto equilibrio fra ciò che racconta, ciò che lascia intuire, quel che permette di immaginare. Il risultato è uno dei giochi più raffinati degli ultimi anni." "Entrare nell’ottica di un titolo così particolare e accettarne consapevolmente i limiti di gameplay significa allora poter godere di un’opera coraggiosa e magnetica, e per questo così rara e preziosa." "Sunset acts as a thoughtful, pensive walk through social themes and struggles not often explored in this medium." 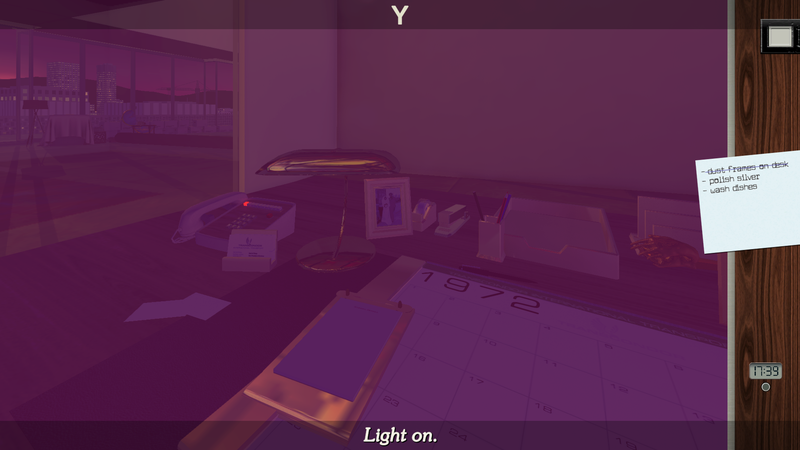 "Sunset, a first-person game from Tale of Tales, exists somewhere between the grand love story of Casablanca and the softly spoken pain of Raymond Carver’s characters. It is a game of startling beauty housing quiet but immense ambition." "Sunset manages to make you care about characters and a story that you never directly interact with." 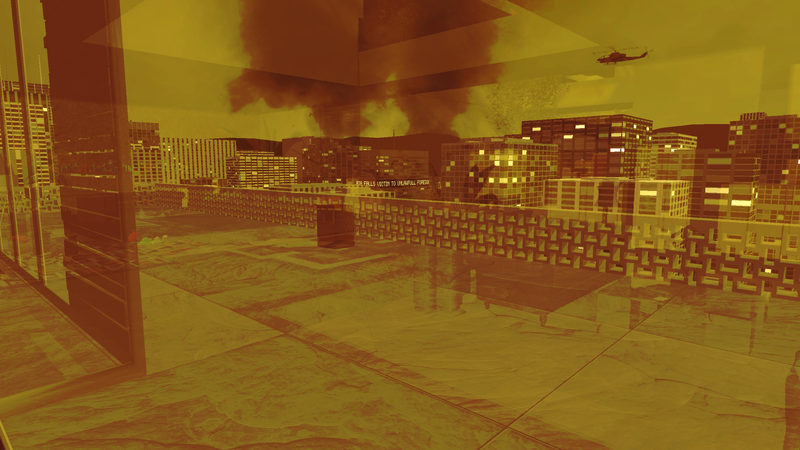 "Sunset is a wonderfully atmospheric slow burner and a valuable addition to a medium where the predominant approach to conflict is to just give you a big old gun and invite you to get stuck in." 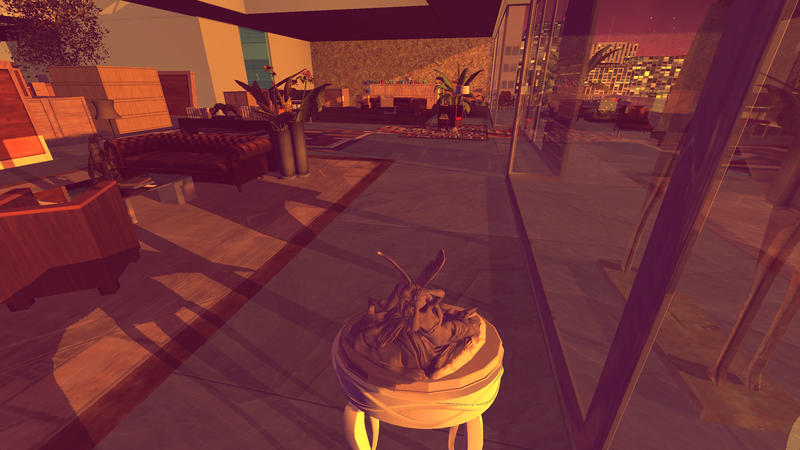 "The act of housekeeping sounds like a curiously mundane fit for a video game, but in its latest game Sunset, developer Tale of Tales has turned it into a welcome constant in a world of chaos. 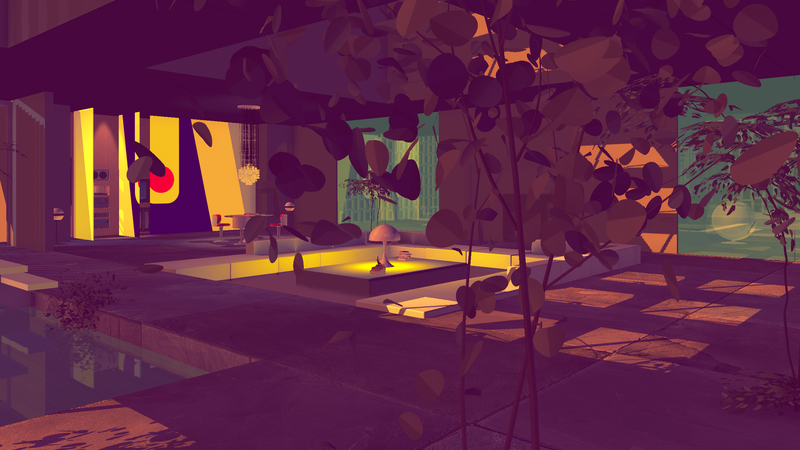 Sunset is a meditative and unnerving experience, and one I won’t forget quickly." 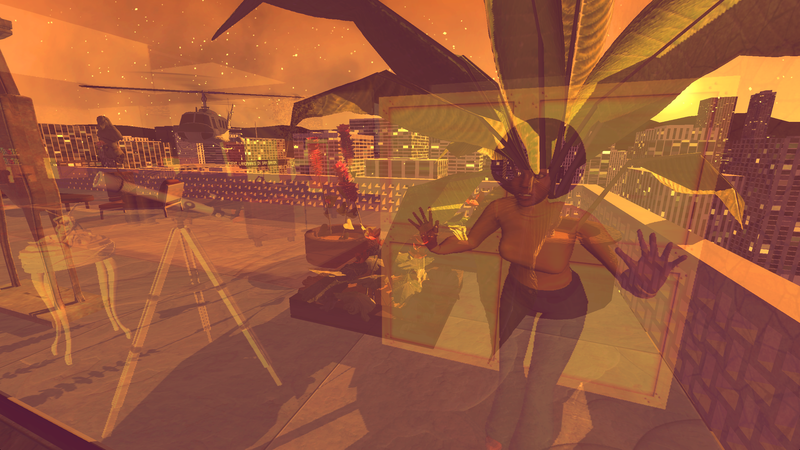 "Sunset is a meditative and ultimately quite beautiful experience in a world of civil unrest. 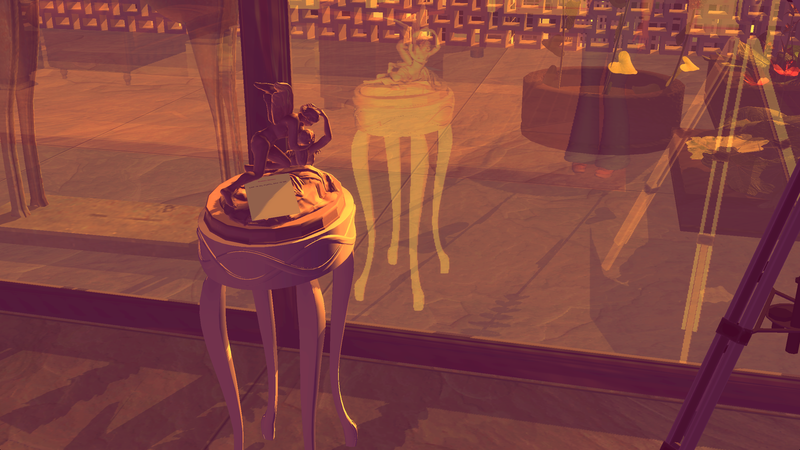 Though its rigid mechanics occasionally disrupts the flow of the story, this is a rewarding game to be slowly savoured." "The entire world of Sunset is masterfully crafted in every way." "But, to paraphrase Anthony Hopkins in The Lion in Winter, when the only choices one can make are small, they matter." "Ultimately, the game hangs like a pendulum, waiting for the player’s hand to send it this way or that, to pass through the darkness of civil war, and cast their own meaning—like sunlight—upon the action." 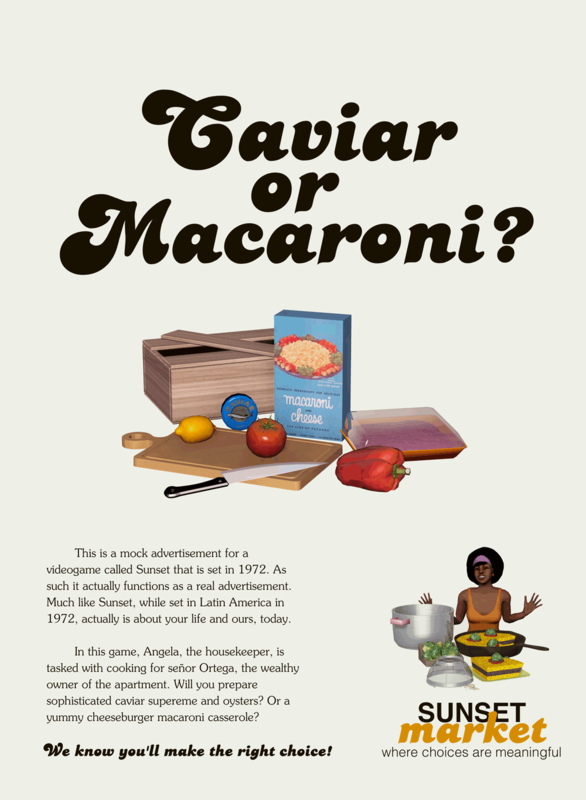 "In short, there is an almost novelistic weight to the details that describe this game, and the parsing of these elements gives the game an uncommon richness." 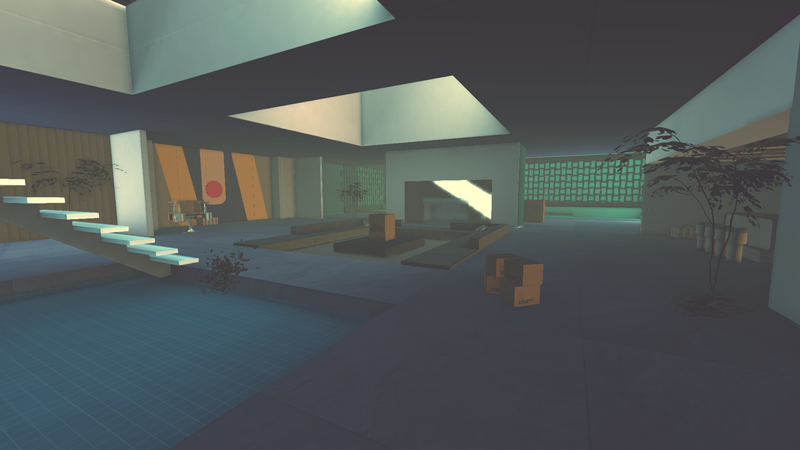 "Sunset is unlike any game I have ever played." "The apartment is exquisitely presented. Every object is authentic to the period, detail that, along with Austin Wintory's restrained soundtrack, lends significant weight to the ambiance." "The game elegantly communicates a very particular kind of relationship in the period world, in all of its power-dynamics and complexity." 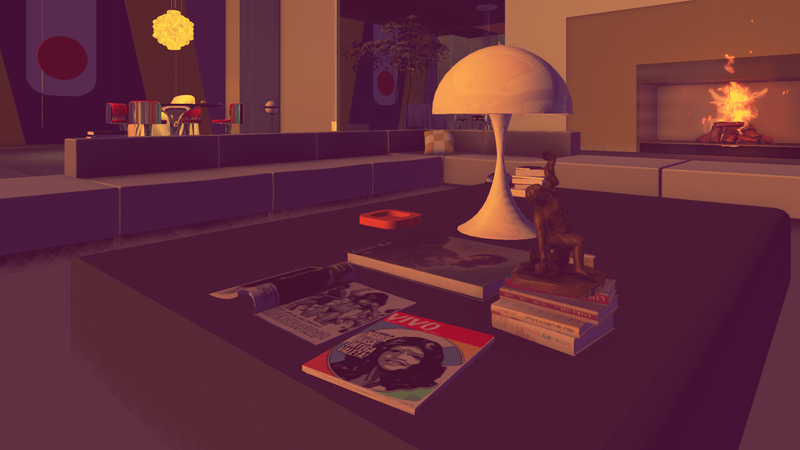 "Sunset tells a story about revolution via the reflection of domesticity, an unusual and thrilling use of the video game medium, and one that expands both its scope and its definition." "Tale of Tales' latest uses the routine of labour to exquisite effect as a framework to tell a story about class and political revolution." "Sunset offers an ever evolving experience that changes each time you play based on the choices you make, and immerses the player in a story of war, rebellion, art and (depending on how you play) love." "A new wave of games is looking to change that by showing war from a range of different perspectives in order to make you think about it in a different way." 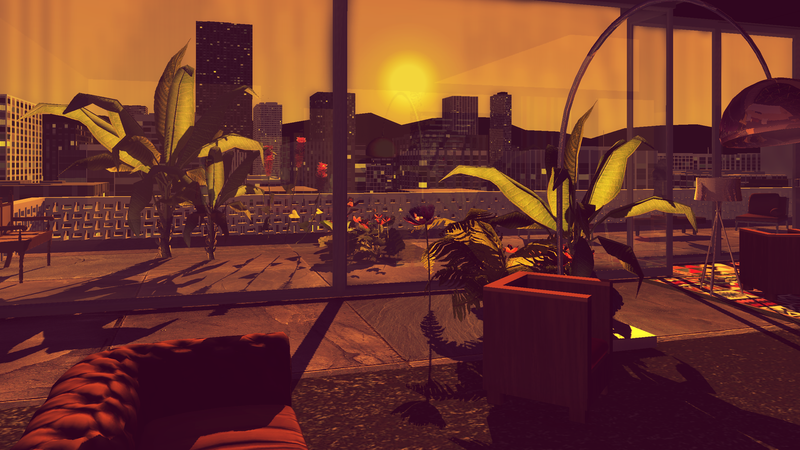 "Tale of Tales has never been a conventional developer but that hasn't stopped over a thousand backers from funding its upcoming noir adventure Sunset on Kickstarter." 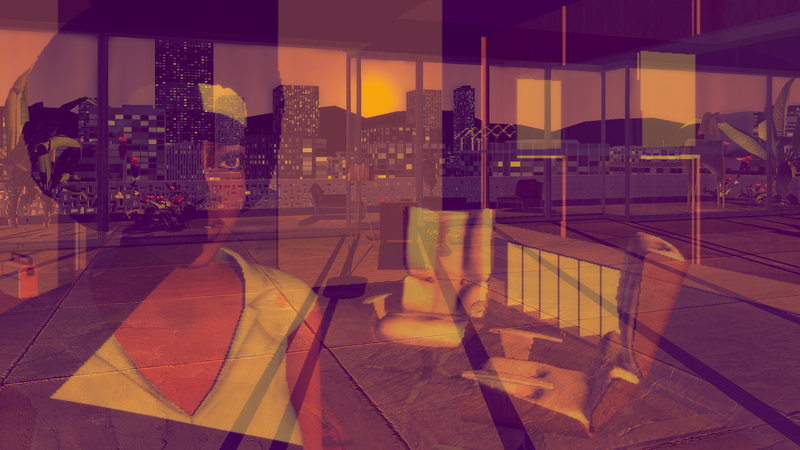 " Tale of Tales’ games have been consistently interesting, and a move towards the mainstream, although unlikely to result in a high-octane through-the-gun experience, should make for an interesting product, and an interesting process to observe as it is developed." 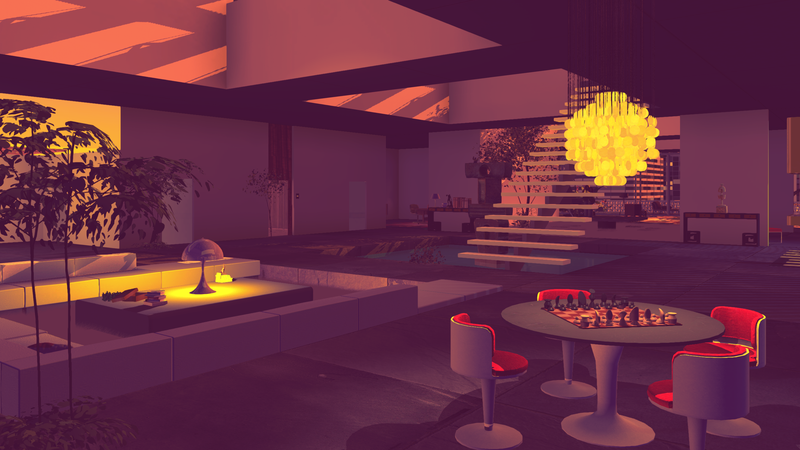 "For a studio which makes such quiet and contemplative games, Tale of Tales have been bafflingly controversial." "In this game then, the military story – the Battlefield story – is happening elsewhere, outside the windows. 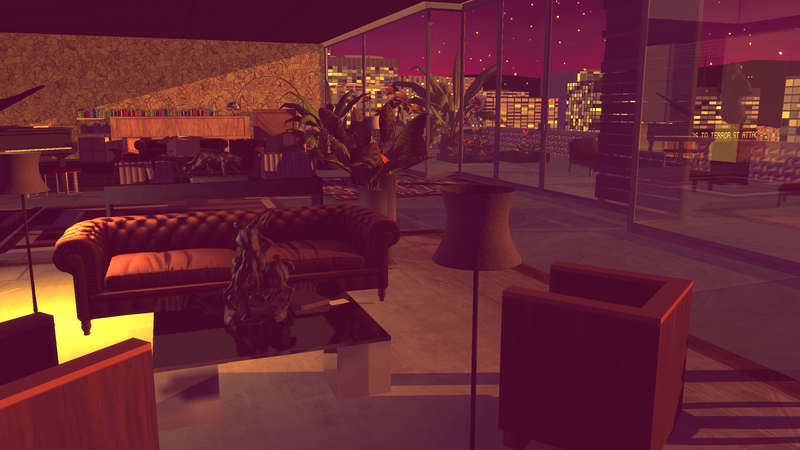 Tale of Tales want players to understand what it feels like to be trapped within it." "No guns, no combat, no puzzles. Interesting, right?" 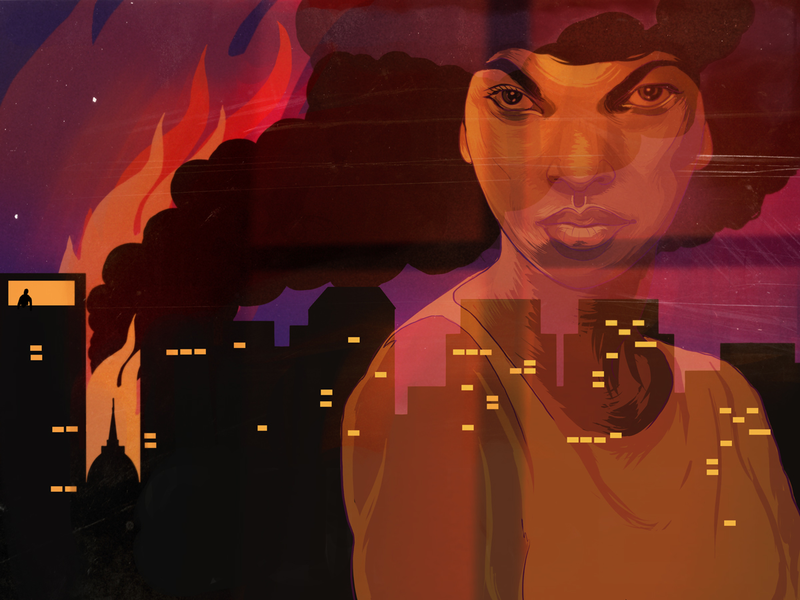 "Sunset, the most recent effort from high-concept developer Tale of Tales, a game that seeks to break through several gaming norms all in one fell swoop." 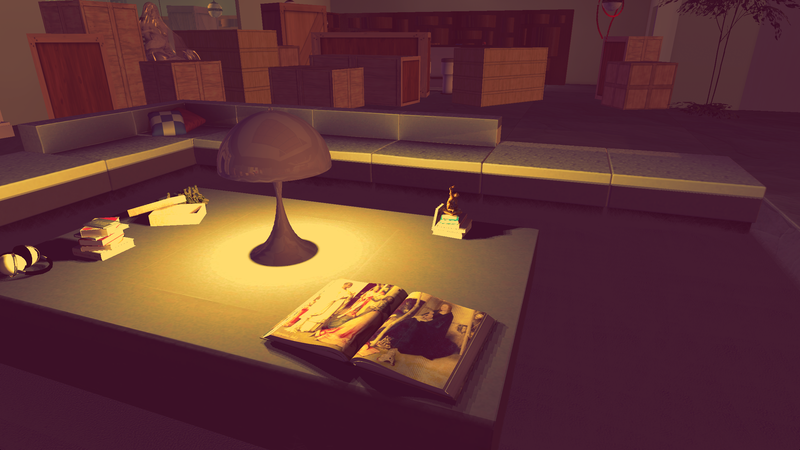 "A comparison to Gone Home is warranted here but Sunset's rummaging is more improvisational and playful." 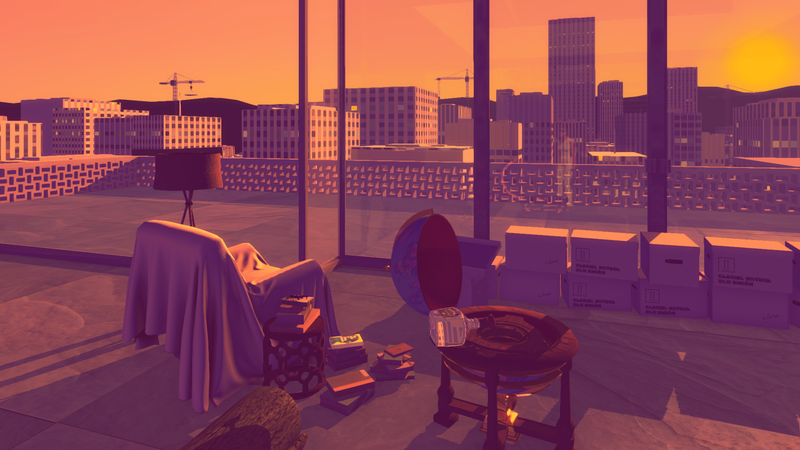 "Tale of Tales tells high-brow, intellectual and emotional stories with its games, including The Path and The Graveyard, and its latest project is Sunset, a first-person thriller set in the loft of a fictional South American city." 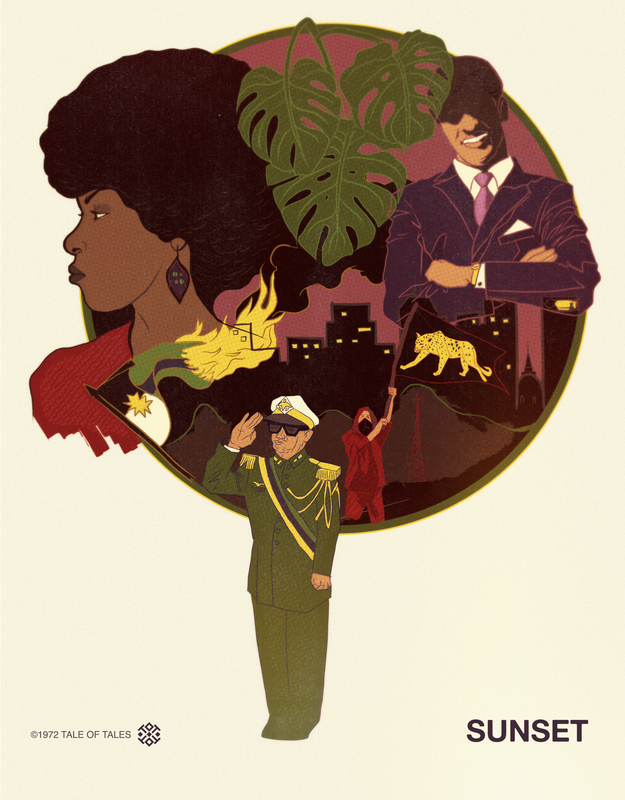 "It will be interesting to see what Tale of Tales draws on to tell the story of Anchuria's military dictatorship." 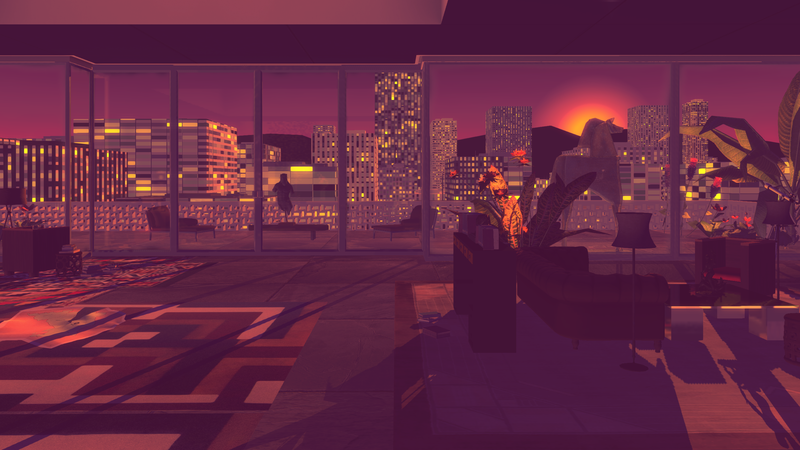 "If you were interested in checking out a new game that goes against the grain, Sunset could be a game worth taking a look at." 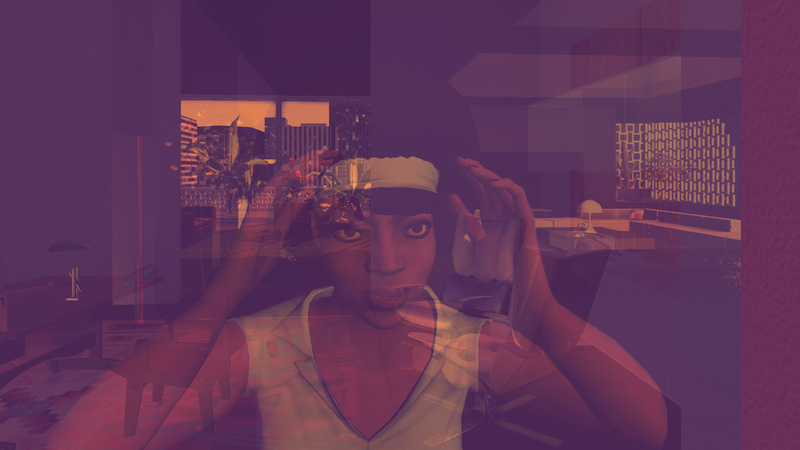 "Tale of Tales has a solid reputation for doing what it does and I'm very much looking forward to Sunset." "a remarkably diverse array of collaborators"
"Times have changed quite a bit and most gamers are now open to a wider variety of experiences in their entertainment." 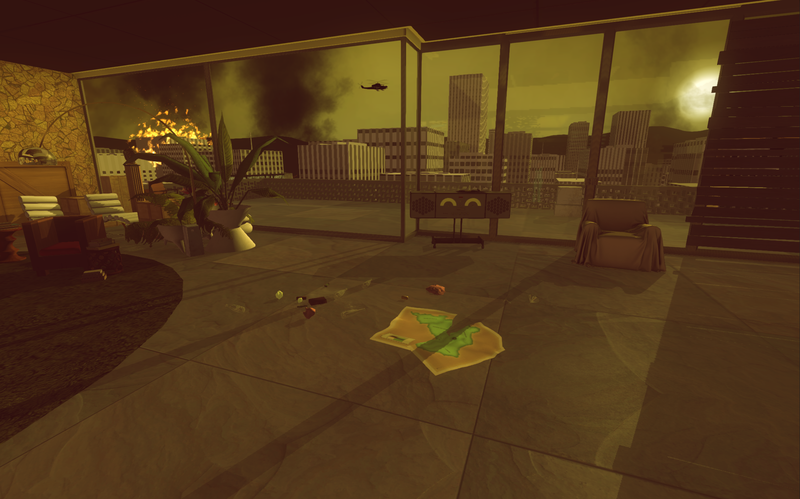 "Tale of Tales makes a game about war and doesn’t give you a gun"
"Sunset is a fascinating idea for a game." "Angela's experience, and by extension the player's, will deal with questions of power, love and violence." "A very different perspective on war; not a man with a gun in the field or some faceless general, but a woman with a feather duster in a luxurious apartment, given one hour a day to both make things tidy and make a difference." 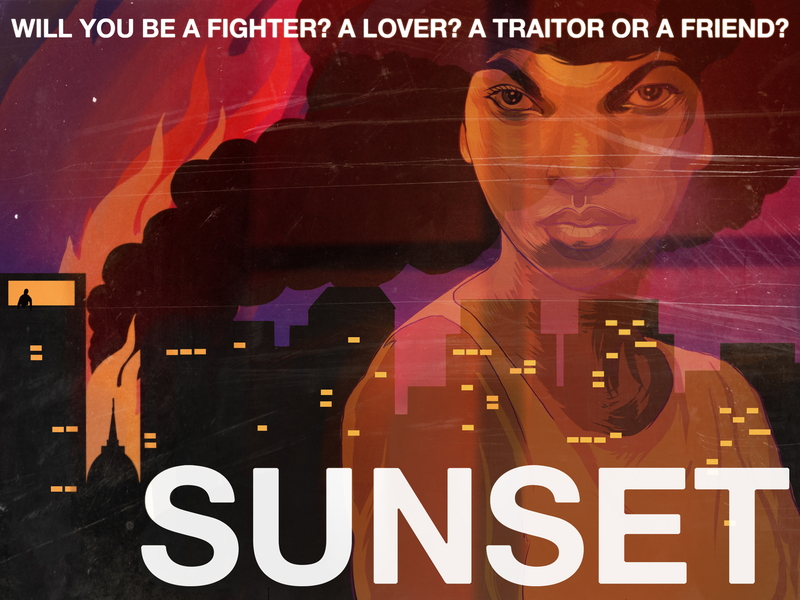 "For any that are skeptical about the narrative story based game genre, take a look at Sunset it might change your mind." "Despite any current debate about the nature of what makes a game, Tale-of-Tales seem perfectly comfortable with pushing the boundary of artistic expression through video games." 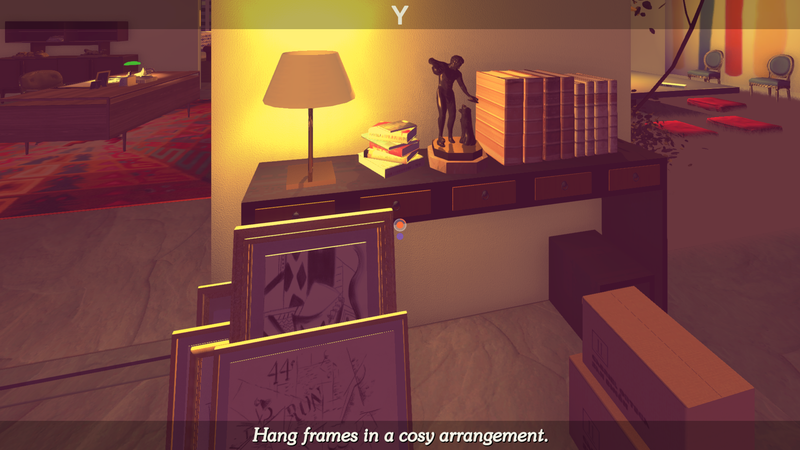 "The way Angela interacts with objects in Gabriel’s apartment unfolds with the profound deliberation of a Japanese tea ceremony, where every move is the result of endless contemplation and the process itself is a microcosm of the universe." We did fundraising for this game from June 17th to July 16th, 2014. It was a grand sucess! kickstarter.com. The official url, featuring news and links to buy the game. . 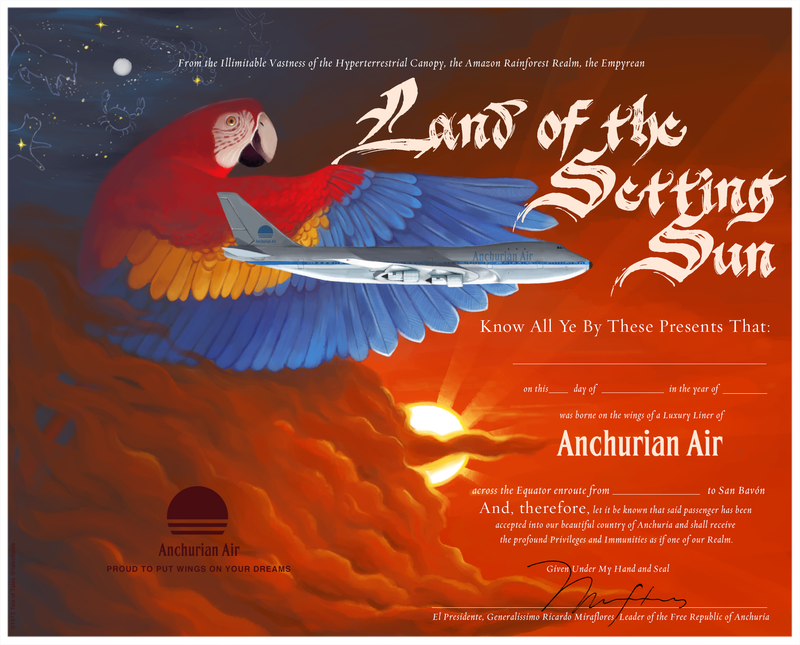 The only Airline that can fly you to Anchurian capital city, San Bavon! Book a flight today. http://sunset.voyage . Articles about different aspects of the production. tale-of-tales.com. All about the TECHNICAL development on the Tigsource forums. forums.tigsource.com. 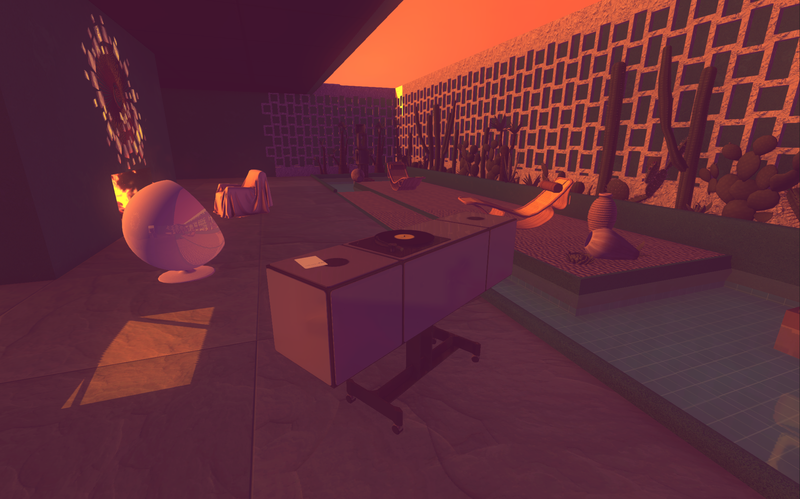 A place to connect to the players of Sunset. store.steampowered.com. We are actively discussing there what players may like to see and do in the land of Sunset. steamcommunity.com. The Dirary of Angela Burnes: steamcommunity.com. Our tumblr for reference images and things that have inspired us to make this world. http://anhourbeforesunset.tumblr.com . 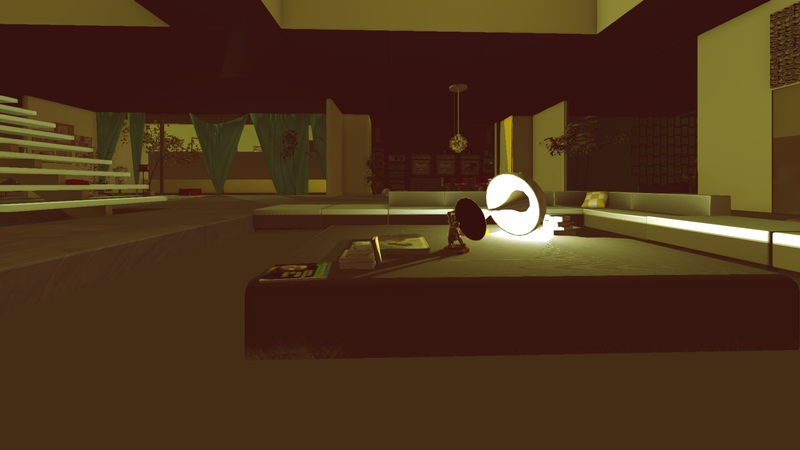 How to play Sunset tale-of-tales.com. 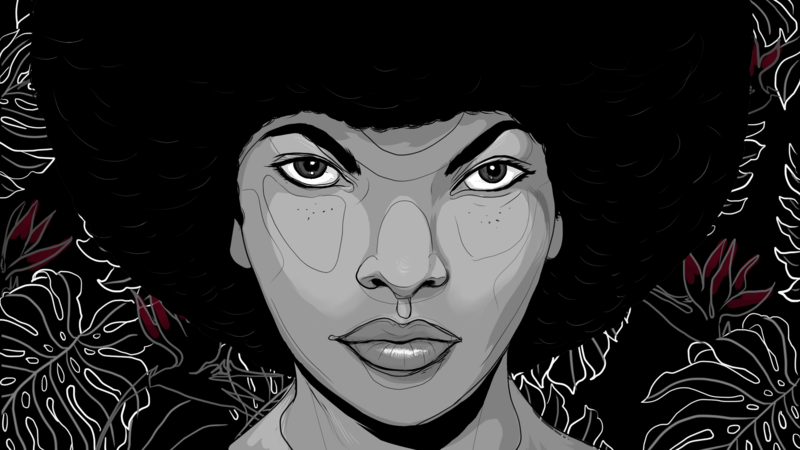 Tale of Tales is a wife and husband team of artists working out of their home in Ghent, Belgium. They have released 8 videogames in the past 12 years: The Endless Forest, The Graveyard, The Path, Fatale:Exploring Salomé, Vanitas, Bientôt l'été, Luxuria Superbia and Sunset. Tale of Tale's games are known for their unique style and unusual gameplay ideas which have had an impact on Indie Games history and their players. Auriea Harvey and Michaël Samyn have devoted their lives to the exploration of computer technology as an artistic medium. They are currently working on Cathedral-in-the-Clouds, a VR and cross media project, an attempt to offer spiritual contemplation to the digital age, inspired by Old Master art and Christian mythology. 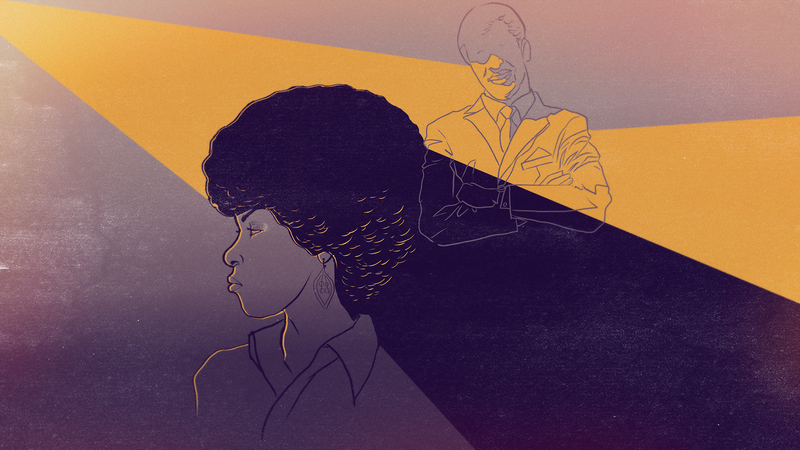 More information on Tale of Tales, our logo & relevant media are available here.